What are some of South Africa’s health care system concerns that expatriates should be aware of? South Africa boasts the biggest economy in Africa and is one of the strongest emerging global economies in the world. Ranked 24th largest among the economies of the world, South Africa is home to several industries and is blessed with enormous mineral wealth. Therefore it is perhaps not surprising that South Africa has one of the most advanced healthcare systems on the continent. And once there you will discover a robust network of public and private health centres with state-of-the-art facilities and equipment. Treatment there, depending on what your ailment is, can prove quite costly. However, most of these clinics and hospital will require payment upfront and this can be a huge setback if you are to dig into your savings. It is therefore prudent to take up private health insurance. With the availability of a broad range of private insurance products, consequently, many South Africans opt for treatment at private health care. This increased demand has seen the cost of treatment at these places rise steadily. The stable economy enables South Africa to comfortably fund its healthcare from its own coffers. However, there are a number of medical programmes, such as free anti-retroviral medication for to HIV and AIDs patients, that are donor-funded. 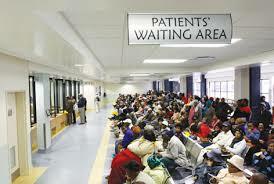 Citizens of South Africa can look forward to guaranteed access to health care subsidised by the government. This proposal is undergoing phased implementation currently but should be in full operation by 2025. While treatment at private healthcare centres can be costly, the price of medicines in South Africa is relatively low. The prices in the country’s pharmacies are what you will find in most any other pharmacy across Africa. It goes without say that pharmacies here are just as professionally run by fully qualified pharmacists. How likely are you to fall ill in South Africa? Looking at the general cleanliness of the environment and the quality of food and water, the chances are quite low. Even in the rural parts of the country you can take water and eat food without fear. Be it vegetables and fruits from the market or processed food purchased in the supermarket, you can be sure it is safe for consumption. When most expatriates are coming to Africa, one of their top concerns is malaria. This fear is justified; in the lower-lying parts of South Africa, this disease is quite prevalent. If you’re going to work or holiday in Eastern Transvaal, the Northern Province, Kruger National Park or KwaZulu Natal, you will need to take precautions. Be sure to take your anti-malaria capsules and apply insect-repellent on your skin. Most hotels and lodges in these areas will provide guests with mosquito nets. ← What are the Top 5 Medical Aids in South Africa?